it in real-time, and adjust operations accordingly. visibility, efficiency, and crucial business intelligence. We are changing the way that companies operate by providing the technologies necessary to allow for real-time intelligence gathering from remote machines any time, anywhere. We have the ability to link almost any type of remote machine or device to our central information system, enabling the gathering of real-time field intelligence that can be used to improve efficiency, reduce cost, introduce new services, and gain competitive advantage. INNEXIV provides energy management solutions to all the industry verticals, we have engineered state of the art energy & infrastructure management and metering systems (smart meters – sophisticated MDMS). Our systems allow industries and consumers to manage their energy consumption more efficiently through remote monitoring and control systems. Industries are facing the challenges of managing their infrastructure and reducing the operating expenditure (OpEx). INNEXIV has engineered tailored solutions to provide real-time visibility to enable remote business intelligence. Our Remote Intelligence & Control M2M Platform provides insight to all the industry verticals on a single platform. We’re expert in providing smart solutions for smart homes and smart communities. INNEXIV AMI system is equipped with advanced solid state electronic ‘smart meters’ that collect accurate time based data which is perfect for utilities. Data centers are power hungry beasts and INNEXIV Data center Infrastructure Solution introduces a centralized monitoring and management system. Our solution provides visibility into Data centers and provides the highly needed insight into the Data center. Electricity generation has increased by 58% from 1985 to 2014; this is mostly due to building energy demand. 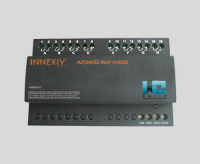 INNEXIV Integrated Building Automation & Management System (IBMS) is an advanced distributed control system designed to monitor and control mechanical, electrical and lighting systems in an intelligent building. Our smart transport management solution is perfectly suited for fleets of varying sizes and types – from large Dump trucks to light waste dumping vehicles and from motorcycles to dumpers. Our Smart Systems connect people, things, processes, and knowledge to enable collective awareness, efficiency and better decision making through Remote Intelligence & Control. With a diverse and distinctive combination of industry expertise, technical depth and differentiated services & products; we deliver the benefits of world-class management consulting expertise to our clients. Our solutions can be deployed quickly to optimize your business processes while delivering faster and better services to you. 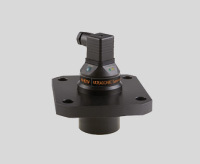 INNEXIV advanced M2M sensor based Platform it able to provide easy to use, yet powerful, application development for reducing the OpEX, time and complexity of M2M. The main function of our solution is to quantify and asses the following: The technology, supplier and standards environment driving application development and enablement, systems analytics and integration, cloud services and management and professional services which are integral in keeping all of the individual components of any M2M solution. The analysis quantifies and reviews differences by application and vertical market segments. Access to information is critical and Real-time information is critical for efficiency, security and profitability in many industries and businesses. Remote monitoring and control of assets requires a fast communications network that can withstand different challenges. INNEXIV helps in simplifying your networks deployment and maintenance through solution design, technical expertise, product configuration and supply chain services. Current power companies collect meter data manually which is expensive for all involved. 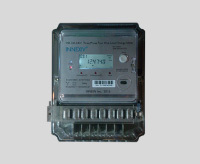 Manual data cannot be relied on especially in Pakistan where meter reading personnel are suspected of fraud in collaboration with the subscribers. The current state of data collection need to chance and there is a need for power corporations to minimize operational expenditure more, effectively utilize energy resources and reduce carbon footprints. INNEXIV has a solution for this, its Advanced Metering Infrastructure (AMI) system provides an effective delivery of services and provides the ability to control the operation costs. Our solution delivers what power corportations expect and need for any smart technology provider: privacy, confidentiality, authentication, accountability and integrity. There are few platforms that can provide the same peace of mind. INNEXIV AMI uses a mix of electronics and software to monitor and measure energy usage. Our system is able to provide detailed information to different locations; the system is accurate and includes the collection of data from consumer sites and communication networks between consumer and service provider. It ensures data reception and management service information is always available to the service provider to ensure the best information is aways available. A smooth operation and continous power supply for BTS sites demands fuel and monitoring the fuel is critical. Slow leakage or theft can go unnoticed but is extremely costly and can result in huge financial losses for any industry. Any unauthorized entry to a remote site creates a risk that can be preventented or at least dealt with properly after the event; entry such as this is likely to result in fuel theft or equipment damage and both will have a negative financial conwequence. Our Fuel Management System has been designed to be powerful, functional and totally scalable to monitor a number of sites focused to one central multi-user operating console. INNEXIV engineers the software to meet the specific demands of fuel systems; our algorithms are vital in determining the fuel level almost perfectly. Most BTS sites are backed by disel generators which need to be refuled on a regular basis; Telco operators supply fuel to sites which results in high transportation charges. 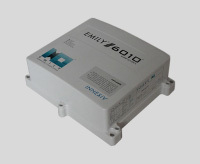 INNEXIV Emily INX-i6010 application provides real-time site visibility and generates reports, graphs and alerts. Using the consumptio rates we provide Telcos with the exact refueling plan for their respective sites; refueling plans help operators reduce transportation and labor costs which results in overall OpEX reduction. INNEXIV provides surveillance Quardcopters, small drones which have range of sensors installed in them to monitor any specific location via live streaming video. They can also transmit audio, GPS location and recorded data securely. These micro-aerial vehicles are equipped with digital imaging technology, forward-looking infrared, high resolution imagery hardware, miniaturized computers and various other technologies. BTS site management is a fast growing need in the global mobile communication sector; the increasing and ongoing demand for quality service, large network coverage, increasing bandwidth and the increase of customers is a demanding challenge for even the largest of companies. There is a growing need for operators to minimize expenditure while increasing efficiency across the business domain and also reduce the carbon footprint of the company by controlling energy wastage. INNEXIV advanced Remote Monitoring and control solution for this is a M2M sensor based platform installed at RAN sites and is remotely managed from a CEO Dashboard, Manager Desk or Network Operation Center (NOC). This solution allows operators to have remote visibility into their site and customer retention. Our solution provides real-time visibility into power infrastructure, fuel consumption, environmental conditions and site security. The data is recorded and analyzed to help operators make well informed decisions and improve the existing infrastructure. Telecommunication Networks require reliable energy sources to keep a minimal down time. Most RAN sites are in remote locations where the power grid is not as good and fault conditions occur frequently which add to the challenges of intermittent power outages. Operators are in desperate need of a solid continuous monitoring of their power infrastructure. INNEXIV Power Monitoring System provides knowledge when it is needed most to diagnose faults quickly and to constantly monitor power performance. Our smart sensors provide real-time visibility into the power grid components; site load and behaviour is monitored and design recommendations are made based on the analysis of historic data. Recommendations are made for areas such as power infrastructure optimization and dimensioning Solar Solutions. Generators are important in establishing a backup power plan for any business, without proper generator management there can be extensive unplanned downtime can be damaging for a business. Operators today are very concerned about their power systems and traditionally a problem such as generator failure are dealt with after the problem has already happened and requires specialized technicians being sent to the site afterwards. INNEXIV’s generator management solution is designed to monitor and control a generators’ overall performance as it happens. The solution is designed to help you analyze faults, maximize efficiency and take corrective action before a problem can occur. Here at INNEXIV we help industries improve efficiency by providing accurate information about a variety of important areas such as battery run hours, temperature and generator run hours. INNEXIV application is tailored to ensure that generators run only when needed and to help avoid unneeded generator usage. If the battery level is not reached then the generators will not run, as soon as the batteries get discharged and the maximum limit is reached the generator will run until the batteries and recharged. Load factors to run the site and how quickly to recharge batteries (time) and other key factors. With our remote emergency shutdown facility, maintenance technicians would no longer have to manually deal with the problem or manually record the data for review. No longer does precious time need to be wasted when dealing with isolated events or with events at hard to reach remote sites. With INNEXIV Emergency Generator Dispatch Facility the health of an on-site generator is monitored and faulty ones are identified. Business facilities will then be able to dispatch emergency generators when notifications come in about a potential faulty generator. Situations may occur where generators keep running at a site when commercial power is also available. We can apply information to reduce generator overlapping hours and ensure only one power source is utilized at one time to maximize power efficiency. Technology is depended on by industries and businesses for their day to day operations and even a split second of downtime can cause huge financial loses. For IT, telecom and industries to keep running these business have to restructure their power infrastructure to identify vulnerable points and take preventitive measures against power failures and outages. Battery systems or UPS are the first line of defence against downtime and unxpected load shedding; INNEXIV offers a specialized battery management system for large-scale development where power availability is critical for business operations. Our system increases overall system reliability and efficiency by monitoring each battery cell 24/7. Monitoring an unlimited number of cells/modules per string. 2 volt cells, 4 volt, 6 volt, 8 volt, and 12 volt modules supported. Overall voltage, cell/module voltages, current, and temperature are continuously scanned every second and compared with user-programmed alarm levels. At user-selected intervals, overall voltage, cell/module voltages, current, and temperature readings are saved for automatic retrieval. Discharges are automatically detected and data saved for retrieval. Discharges can be viewed in real time locally or remotely. Alarm events trigger an indicator, dedicated contact closure, programmable contact closure and automatic email or SMS notification. 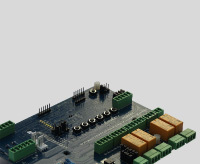 INNEXIV uses battery sensors to monitor and anaylze battery performance; our sensors remain attached to the battery for its service life and will continue to assess the health and power status of the battery. They provide a record of the battery life using measurements taken from the voltage and temperature. A data centers are one of the most critical operations is almost any business and in recent years they are encountering more problems with capacity, resources, performance and management related issues. In the past data center managers needed to react to changes however the introduction of proactive approaches has had a host of positibe effects including an increace in efficiency and a higher level of service. The INNEXIV Data Center Infrastructure solution introduces a central monitoring and management system which is desperately needed for greater visibility into data centers. Our solution also has other features to ensure you get the maximum out of our system; data collection and anaysis, management software and advanced modules add together to make a stronger system. This solution provides monitoring of the entire center on a single platform providing operators with an easy way to see into the data center. Having real-time data is a nessecity for taking proactive steps in dealing with alerts and issues that occur naturally. INNEXIV’s Data center Monitoring solution enhances reliabiliy, improves overall performance and increased efficiency just be monitoring passive equipment that is vital for any data center to function to its maximum. 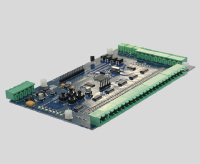 This solution reduces costs and increases efficienty just by monitoring some basic factors such as power, cooling and environmental conditions across facilities and IT systems. Systems will be safer and more protected with our solution monitoring fire safety and site access. Data is recorded and analyzed to ensure you can make informed decisions and improve the existing data center to ensure it reaches its full potential. Businesses today take environmental and legislative compliance seriously and environmental monitoring is extremely important in modern day strategy. Sensitive equipment is found everywhere and the loss of such equipment can be very costly; Datacenters and hospitals for example both hold equipment that is sensitive to environmental change. This means that it is vital to monitor the environment on site to watch for potential issues with temperature, air conditioning and water damage. INNEXIV has the perfect solutions for dealing with this critical issue. Our solutions allow facilities to monitor the environmental activity in real-time through data readings, camera images and the ability to immediately configure ths system should a problem appear. The INNEXIV Environmental Monitoring Solution monitors the environment and also alerts you when a bad condition appears to ensure you can react quickly to prevent damage and save equipment. Several inputs are needed to calculate the best option. Some of the inputs used are needed to assess the air conditioning units and determine if any changes need to be made. When a fueling truck reaches a remote RAN site it refules the on-site tanks with the amount requested by the operators. Manual log books show that fueling is typically being done correctly even without a strong monitoring system. Operators send seperate teams to measure the volume in the fuel tank with a dip test which is not an efficent way to measure the volume. Looking at the current needs of operators our solution introduces a Secure Refueling Management solution to address many different problems. Our solution deals with fuel consumption, fuel storage, vehicle tracking and vehickle engine monitoring. Our vehicle based features have been developed to ensure a smooth performance and the proper maintenance of large vehicles. The solution is resilient to theft and disruption. In the past operators have been dependent on multi-vendor serivces to manage their power related issues at RAN/BTS sites; services such as managing grid power and generators have always also come under services provided by those vendors. This is a very expensive option however and demands a lot for this to work. We have an all in one solution. The INNEXIV Complete Integrated Power System (CIPS) can manage all power related issues at RAN/BTS sites and allows operators to overcome the problems that come with mult-vendor services. Our system increases efficiency and is easy to mantain as well as install. CIPS can also be linked with the site Generator’s which is perfect for emergency situations. For any business depending on vehicular activity, fleet management is crucial. It is very important for these businesses to track the vehicles and have ace access to information about its location and status. Having this feature decreases the cost of transportation and crew while increasing efficiency and productivity. The INNEXIV smart fleet tracking system allows managers to see vehicle status on a map along with other vital information such as if the vehicle is loading/unloading or if it is under/over speed. This allows managers to monitor their fleet and make sure all drivers are taking the correct path and alerts are generated in case of a route diversion; once a route diversion is reported the vehicle can be remotely stopped. Our system transmits data over secure channels to provide operators with real-time alerts, reports and key performance information. Electricity generation has increased by 58% from 1985 to 2014; this is mostly due to building energy demand. Building owners are looking for automation of their networks inside their building systems to reduce the rising cost of energy. INNEXIV Integrated Building Automation & Management System (IBMS) is an advanced distributed control system designed to monitor and control mechanical, electrical and lighting systems in an intelligent building. This keeps the building running to the correct settings based on the occupancy schedule while monitoring system performance and device failure; the system also provides malfunction alarms to ensure you have the best potential information to hand to quickly deal with problem when they arise. One of the main problems for operators is site security; it remains a major problem in effective management and maintenance of a site with a satandard 99.98% uptime. This is something that can be fixed. Without dealing with it, revenue could be lost due to tampering or theft of valuable power equipment. Sadly the response to site security is usually reactive instead of proactive. INNEXIV’s highly advanced management system can remotely monitor site assests 24/7 regardless of the sites location. Our security system allows the complete visibility of a remote sire with total surveillance and coded alerts at the sign of any unwanted access. Everything of importance on site can be kept safe by our fail-safe system; monitoring is an essential for every company looking to operate safely and in the most organized manner. 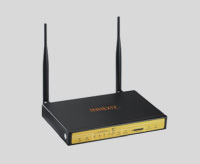 INNEXIV solutions are both wired and wireless. There are capable of identifying serious threats such as fire and intrusion through the use of smoke alarms, video surveillance and more. Notifications and alerts are sent by e-mail oe SMS to keep needed personnel informed about the condition of thr site. 6% of datacenter fires are due to infrastructure failure. Having the right concept is extremely important as the wrong fire safety scheme could produce higher costs than a potential fire; also heavy power loads for long periods of time can result in equipement overheating and short circuiting can occur. 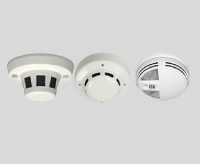 INNEXIV’s Secure Fire Safety and Fire Solution provides a detection system to detect fires. Our solution provides smart smoke sensors which are easy to install and configure and works through remote monitoring and a control platform. Billions are consistently wasted on re-admitting patients with preventable medical conidtions; there is a growing need to manage patients in remote locations to make up for the delays in record recovery and unreliable patient diagnosis data. Hospitals are becoming increasingly more expensive and the number of staff to assist patients is decreasing despite the increasing demands of patients. INNEXIV Remote Patient Monitoring allows doctors to remotely monitor a patients health. This solution primarlly focus’s on three major areas: Chronic Disease Management, Patient Safety Monitoring and Fitness Monitoring. For places that do not have easy access to fresh water, water treament is vital. This requires a large setup however and is costly in both money and time. Plants for water treatment are usually installed in remote locations and require an increase in service costs to maximize the plants uptime; they also require regular visists from engineers and technicians to manually configure the control and the pumps. Our remote management system is designed to take advantage of new sensors to monitor the proccess and ensure it runs smoothly to keep the water treatment plant stable. The INNEXIV solution meets the depollution requirements. INNEXIV Water management solution is divided into three main process and each stage has its own features. 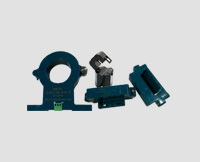 Our products are engineered for harsh environments, high performance and ease of installation. INNEXIV is on the frontline of technology focused on real-time intelligence gathering. We provide the technologies necessary to gather this information from remote location. INNEXIV can link almost any type of remote machine or device to out central information system, enable real-time field intelligence gathering, reduce costs, introduce new services and provide you with an advantage over your competitors. Copyright (2005-2016) INNEXIV, Inc. All rights reserved.